River tours are becoming ever more popular with tourists in Southeast Asia, with both high-end luxury cruises and many more general options including day trips. 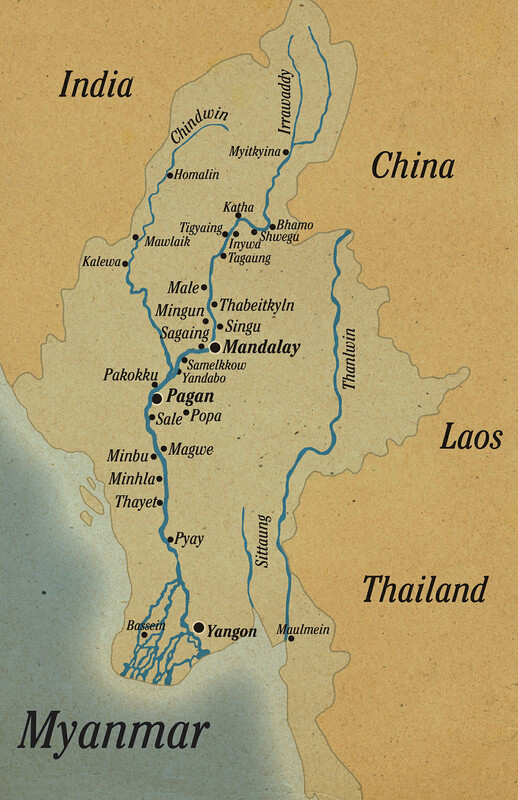 The major river in Myanmar is the Ayeyarwady (also/formerly spelled Irrawaddy). We recently posed some introductory questions to Sven Zika, Sales and Marketing Manager at Pandaw / The Irrawaddy Flotilla Company, the first company to offer international tourists river expeditions in Myanmar, from 1995, with a company history going back over 100 years before that (see the history of the company here). 1. Has there been a growth of interest from travellers recently? 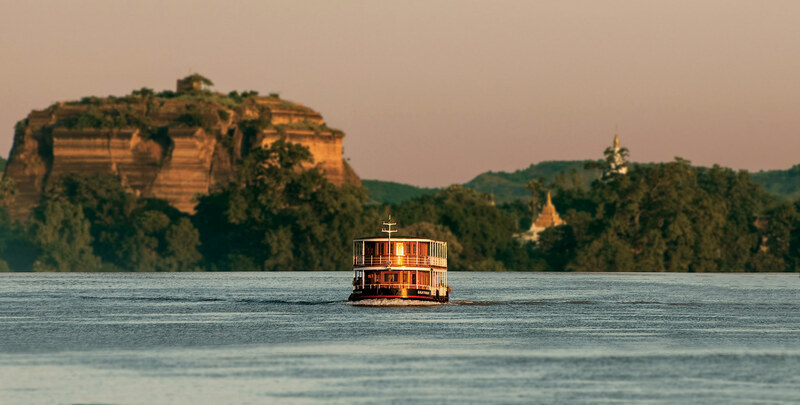 Sven: Yes, there has been a huge surge of interest in river cruising, especially as Myanmar has become more widely appreciated as a holiday destination. From two ships in 2013, our fleet has grown to 7 ships in 2014 with one more on the way in 2015. 2. What ages and nationalities of passengers most often come on your cruises? 3. Why are river tours a good way of seeing Myanmar? For the uninitiated, a visit to a temple in Southeast and East Asia could be a daunting undertaking. The unfamiliar breeds trepidation and you find yourself unsure of what to do. What are the rules for these mysterious places? Well, you will find that there are surprisingly few. Each region has their own set of customs, but they are easy to remember and even easier to adhere to. You should always bear in mind that the temple staff want you to be there. If they can, they will help you in any way, from explaining the etiquette, to assisting you make an offering of your own. With over 1,000 years of history, Ha Noi has been Vietnam’s centre of Buddhism for centuries. The city has more than 600 temples and pagodas, many of which are not only religious relics but also popular tourist sites. 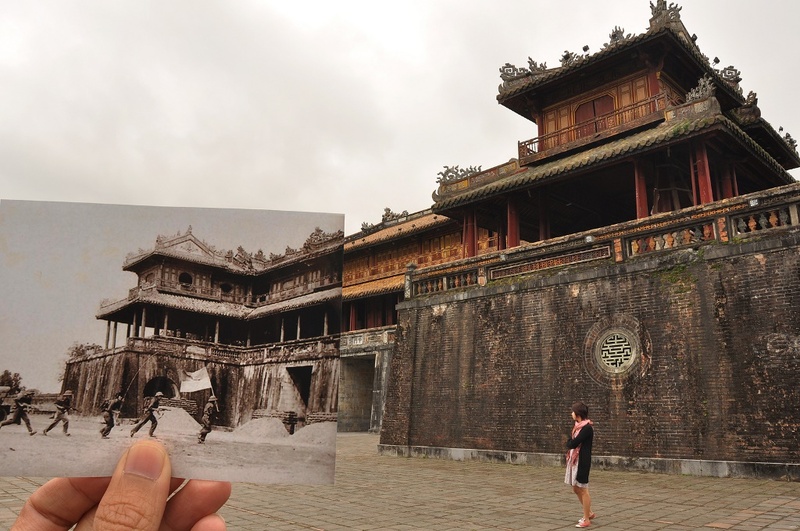 Neither boasting a long history nor having an extraordinary architecture, Quan Su pagoda is still a precious treasure of Ha Noi and has been the Headquaters of the Vietnam Buddhism Association since 1858. 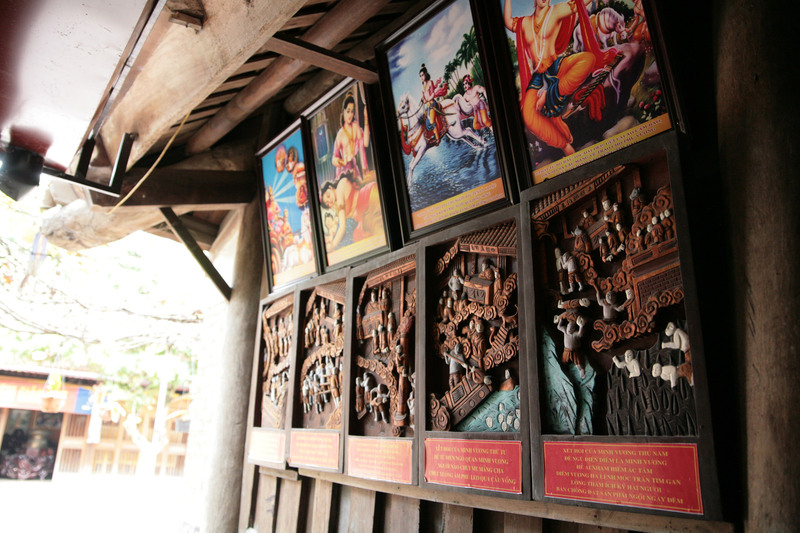 The Phuoc Kien Assembly Hall, located at 46 Tran Phu Street, is a famous sign of Hoi An’s trading history and displays rich architectural features that reflect strong Chinese influence. 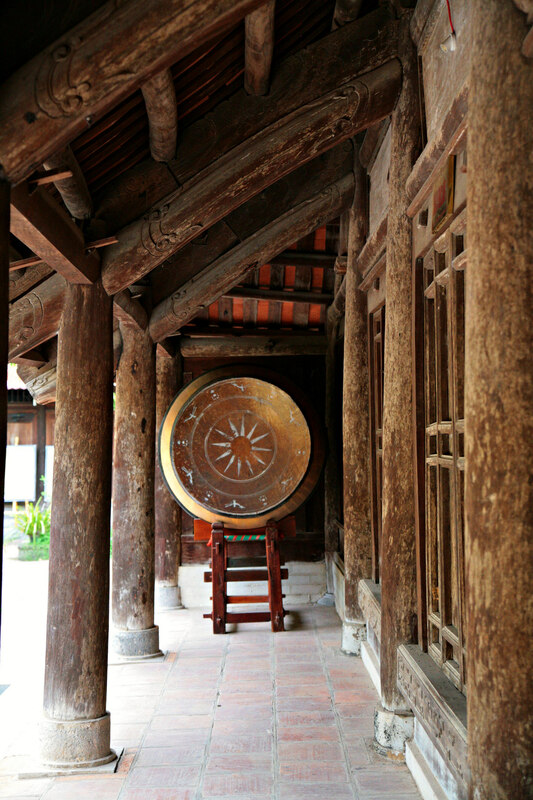 The building was constructed in 1692 by Vietnamese people living in Hoi An and originally a Buddhist thatched pagoda called Kim Son. 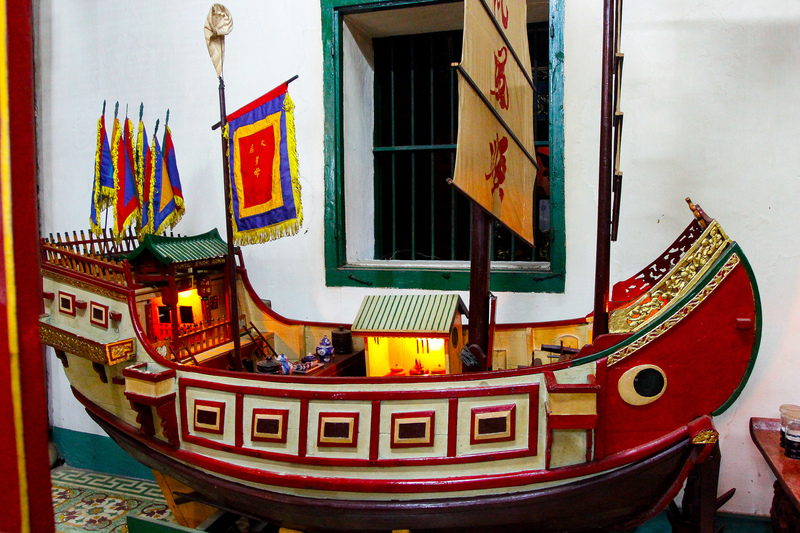 It unfortunately became very damaged and was eventually sold to the rich Fukian merchants, who fled from China to Hoi An in the 17th century after their ancestors lost in the fight with the Qing to restore the Ming Dynasty. 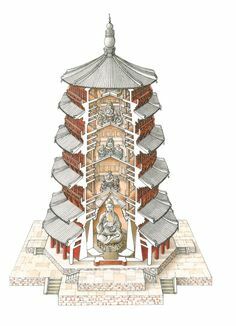 After the restoration in 1759, the pagoda was renamed “Phuoc Kien Assembly Hall” and dedicated to the worship of their ancestors and Thien Hau Holy Mother, who was believed to save and protect the traders during their escape. Situated in the Son Tra peninsula, Linh Ung – Bai But Pagoda is an attractive tourist destination and the biggest pagoda in the charming coastal city of Da Nang. 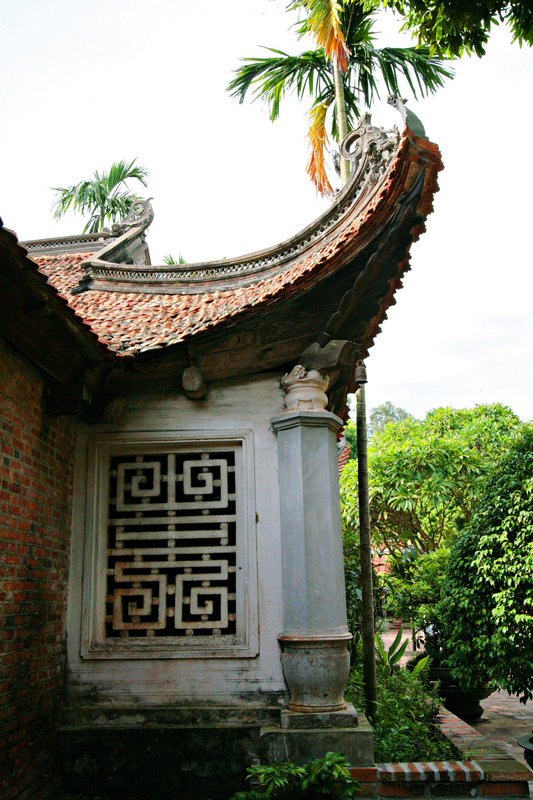 Unveiled in July 2010 after six years of construction, Linh Ung – Bai But pagoda features perfect harmony between the modern and traditional architectures of Vietnamese pagodas, especially in the three-entrance gate, the main chamber and the ancestors’ house. Tourists are also advised to spend their time admiring lively Buddha statues in the surrounding gardens as they illustrate fascinating myths and stories in Buddhism. Walking through the Linh Ung pagoda’s main gate, you’re greeted by 18 large white stone statues representing the 18 Arhats, which are a popular subject in Buddhist art, with all of the human emotions of joy, anger, love and sadness. This post covers the final day from the travel diary by Joan Foo Mahony, publisher of Architecture of the Buddhist World book series. Part One can be found here. Part Two here. On the final day of our Borobudur region trip, we were taken to the Prambanan Park area, a sacred area where Hinduism and Buddhism thrived. 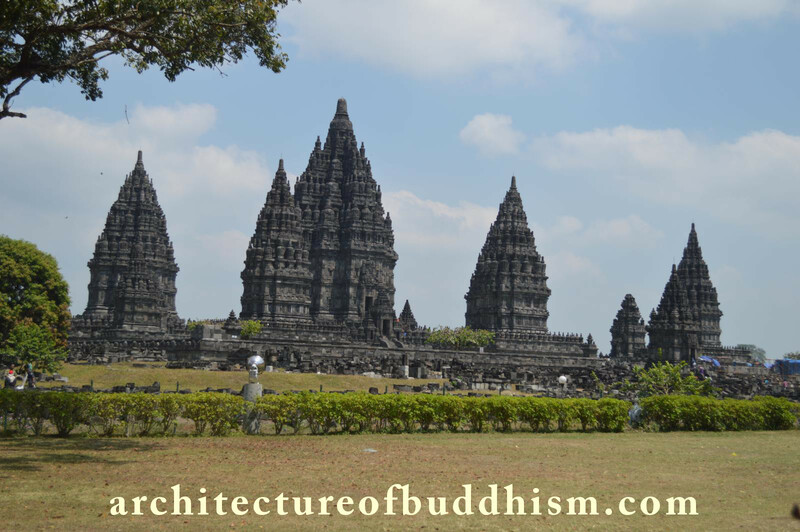 Here, we were treated to not only the biggest and grandest Hindu temple complex in S.E Asia, known as Prambanan, but also some of the oldest and most interesting Buddhist temples which were located in the same park. 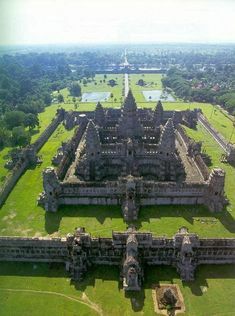 The Prambanan Temple complex is Hindu and was built in 850 CE to 856 CE (after Borobodur and before Angkor), and by the Sanjaya Dynasty after the Shailendras were driven out of Java and back to Palembang in Sumatra. But the Sanjayites did not destroy the Buddhist temples already built nearby (Candi Sari, Kalasan, Lumbang, Plaosan and Sewu) but kept them, out of deference perhaps to the wife of the Hindu king, who was Buddhist and a member of the previous Buddhist Shailendra dynasty. 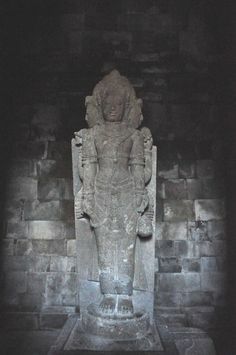 It was also interesting to note that Hinduism in Java was not exactly the same as in India. 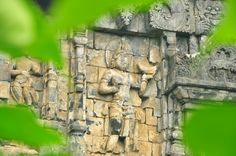 When Hinduism took hold in Java, just as in the case of Buddhism, it incorporated part of the Javanese customs and traditions. 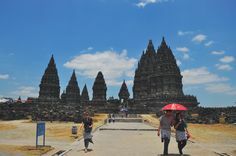 The Prambanan complex of temples consist of the biggest one in the centre dedicated to the Hindu God Shiva, the destroyer with Vishnu (the preserver) and Brahma (the creator) on either side and their vehicles in front. These are the Hindu trinity or Makti. 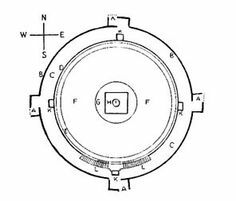 Just as in the case of India, the temple to Shiva dominates here. 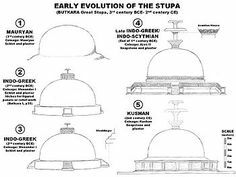 In fact, in India, there are very few temples dedicated to Brahma. Most are dedicated to Shiva and in northern India to Vishnu. The consort of Shiva is Durga and there is a temple dedicated to Durga in the grounds and to Ganesha, Shiva’s son, half elephant, half man. The main shrine has a huge 3 meter high statue of Shiva and of Durga on the side as well as Ganesha. In all the balsutrades and walls, there are some very exquisite carvings showing a very level of Sri Vijayan art. The mere mention of Duc La Pagoda is enough to excite awe and honour in the minds of the people of Vietnam – the temple has been in existence for nearly 700 years and holds a collection of 3,000 carved woodblocks recognised by UNESCO as World Documentary Heritage. This post covers Day 2 of 3 from the travel diary by Joan Foo Mahony, publisher of Architecture of the Buddhist World book series. Part One can be found here. 3 am! It would be an early start, but I was too excited to sleep anyway. I jumped out of bed even before the alarm went at 2 am. Off we went in the dark towards one of the wonders of the world – for me it IS the wonder of the Buddhist world. 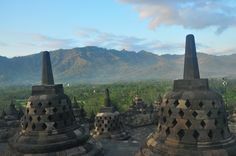 That day was also the day of the full moon so it was such an auspicious day to view Borobodur. 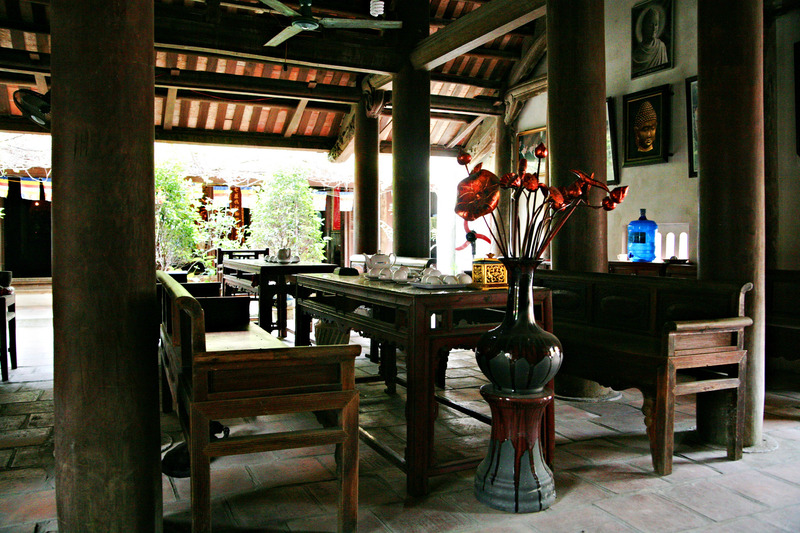 The distinct brown colour of soil walls, the yin and yang tiles, its wooden fences and big water jars give Bo Da Pagoda an old-world feel. 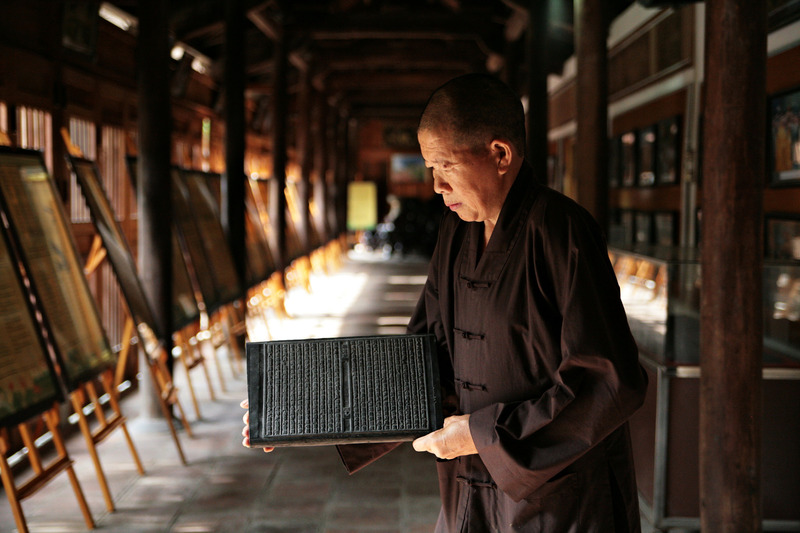 The pagoda houses a remarkable collection of the oldest Buddhist texts in Vietnam, which are engraved on a type of ebony [Diospyros decandra] wooden blocks and have lasted for hundreds of years without any preservatives. Bo Da Pagoda was built in the 11th century during the Ly Dynasty, the golden age of Buddhism in Vietnam. 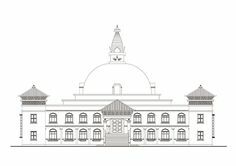 The pagoda, which has survived several wars and been renovated many times throughout the centuries, now demonstrates the architectural style of the Nguyen Dynasty (the last dynasty of feudal Vietnam). This post covers Day 1 of 3 from the travel diary by Joan Foo Mahony, publisher of Architecture of the Buddhist World book series. Part 2 here. Through the kindness of Brother Dr. H.S Tan, the founder of the Nalanda Institute in Kuala Lumpur, I was one of his fortunate forty-five students who were invited on this trip to Borobodur to see one of the wonders of the Buddhist world. These are my notes of a remarkable dharmic journey. 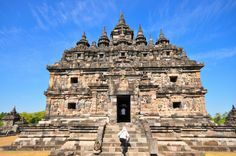 Candi Mendut, located 3 km from the Borobodur temple complex was built in 760 CE, at the height of the Shailendra dynasty during the Sri Vijaya period, about 10 years before the huge temple complex of Borobodur itself was actually built. 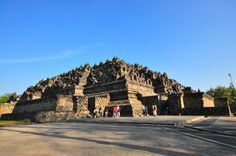 However, it is believed that when Candi Mendut was built, this was done specifically with Borobodur in mind. It was part of the builders’ grand design. 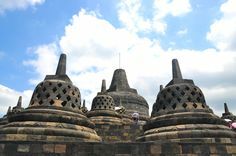 Candi Mendut faces west towards Borobodur and is located 3 km eastwards from it The smaller Candi Pawon lies in between in a straight line. 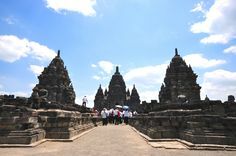 Candi Pawon is about 1 km away from Borobodur. A pilgrim in those days who travelled to see the wonders of Borobodur would thus be travelling along this straight line in this area now called the Kedu Plains, arriving first at Candi Mendut; then to the next temple, Candi Pawon; and then finally reaching Borobodur. As they journey, the pilgrims would cross the two rivers of Elo and Progo, the waters of the rivers symbolically purifying them. 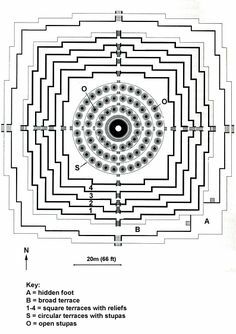 ‘Candi’ refers to ancient structures based on the Indian type of single-celled shrine, with a pyramidal tower above it, and a portico. 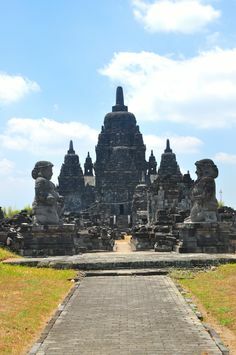 The term Candi is given as a prefix to the many Hindu and Buddhist temples which are pre-Islamic in origin in Indonesia, built as a representation of the Cosmic Mount Meru. 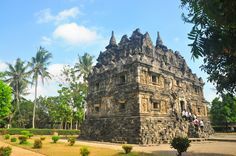 Candi Mendut is a small but absolutely exquisite temple ; a stand-alone single structure set in a small peaceful garden by a great big tree. 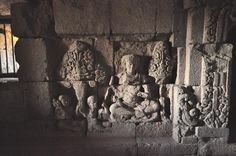 As a single structure, Candi Mendut differs from the other temples of Borobodur and the Jogjakarta region as they are all a complex of temples. 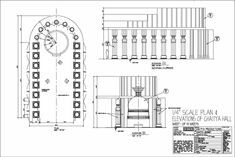 It is as a single structure that accounts for its beauty; its stunning simplicity and form built more than 1,000 years ago. 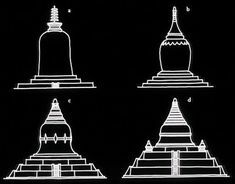 It is perfectly balanced and symmetrical and although the top of the Candi is no longer visible, one can imagine how beautiful it once must have been. Even without the topmost part, Candi Mendut reflects a quiet dignity. To be able to be there up close and seeing this exquisite jewel of a temple is such a pleasure and a privilege. What are the highlights of this tour, and who is it for? The main theme of this tour is to help travellers learn about history of Buddhism and Hinduism with their rich history of ceremonies, monuments, temples and arts. 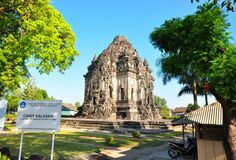 This is a favourite tour for those who love historical travel and want to find out about the centuries of Indonesian history before Muslim and Christian religions arrived. Aside from history and architecture, action highlights include white water rafting and hiking to Merapi Volcano sites. The tour starts from Yogyakarta: is this the base for day visits? Not for everything. 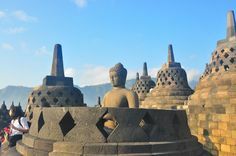 In order to avoid spending long hours driving, we do 2 nights in Yogyakarta and 3 nights in Borobudur and we visit sites on the drive from Jogja to Borobudur or vice versa. What should we see and do in Yogyakarta? 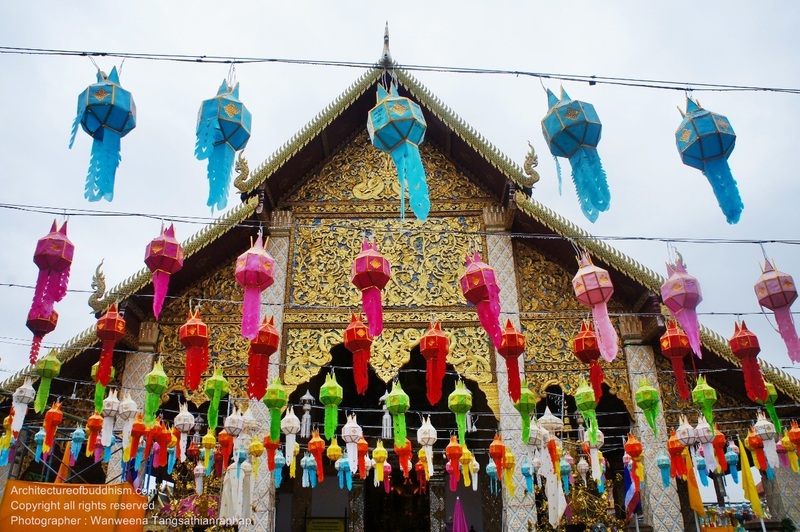 Wat Phra That Hariphunchai is located in the heat of Lamphun city, about 28 kms southeast of Chiang Mai. The temple has long been regarded as an important pilgrimage site for Buddhists especially for those who were born in the Year of the Rooster. 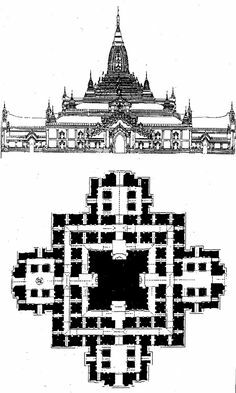 The main chedi houses a hair, crown of a skull, chest and finger bones of Buddha. 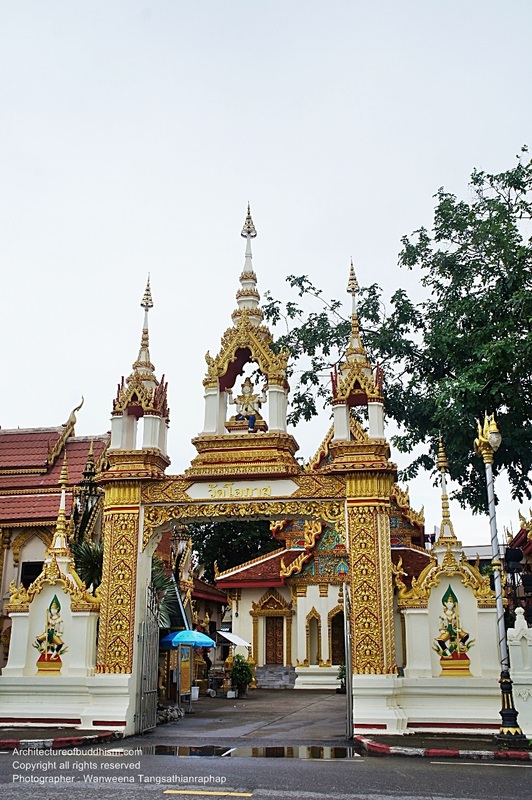 Located by the Mekong River not far from the Indochine market in the municipality, Wat Okat Si Bua Ban or locally known as Wat Okat, is one the most important temples in Nakhon Phanom, Thailand. The sacred temple has been honored since ancient times and is regarded today as the iconic temple of Nakhon Phanom. The temple houses two ancient Buddha statues ‘Phra Tio’ and ‘Phra Thiam’, which are situated together. Phra Tio, 60 cm. high, was carved from ‘Tio’ wood and later covered with gold plate. Hue (Huế) is a bustling city located in Central Vietnam, well known as its former capital from 1802-1945 and home to the legendary Nguyen monarchs.